We do not believe that people have a single life purpose, but rather they will have different purposes in different parts of their life which will likely change and evolve over time. We encourage students to think of purpose as a non-linear and reflective process they can draw upon for guidance throughout their life. Having purpose is fundamental to cultivating a meaningful life because it connects you to your raisons d'être, things that matter deeply to you and give your life direction. But purpose isn’t just important for young people. Adults with a purpose in life report higher levels of psychological well-being, flourishing, hope, resilience and life satisfaction. Furthermore, purposeful people have been found to live longer and have significantly lower incidences of heart attack, Alzheimer’s disease, and stroke. If you know how to seek it, purpose can be found in all aspects of your life, including your work, social relationships and the activities you engage in your free time. People find purpose by engaging in projects with three key ingredients: (1) a response to a need in the world they care about, (2) use of their strengths and skills, and (3) something they find joy and value in. We call this paradigm the Wayfinder Purpose Compass. Wayfinding refers to the knowledge and practices of people who “read” the natural world to successfully travel across vast areas of land and water. Throughout history and all over the world, people have learned to recognize important signs and patterns in nature to help them find their way. Depending on where in the world you are, this knowledge may include detailed mental maps of the starry night sky, subtle changes to weather and climate, the presence or absence of fauna and flora, the nature of ocean currents, the colors of the sea and sky, or cloud formations. While the skills and knowledge of wayfinders vary based on their environment (for example, deserts, oceans, forests), common values can be observed across wayfinding cultures: respect for the earth, the interconnectedness of nature and people, a sense of wonder, a spirit of curiosity, and a deep respect for generations both before and after us. These values are profoundly important to Project Wayfinder and are baked into the core of our curriculum. Our activities are designed using natural and wayfinding metaphors to both honor these values and to help concretize the abstract concepts of meaningfulness and purpose. 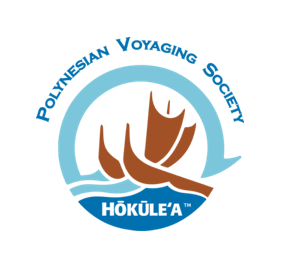 a non-profit organization in Hawai'i committed to the transmission and practice of their ancient wayfinding traditions.